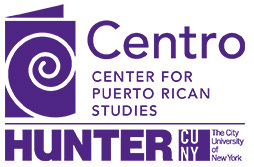 CENTRO: Journal of the Center for Puerto Rican Studies (ISSN: 1538-6279) is published three times a year (spring, summer and fall). Ads are for one year (3 issues) and appear at the back of each issue. 300 ppi CMYK (Print-Ready) PDF or JPEG. All deadlines are rolling. Please write for more details. Full payment is expected upon publication. Advertisers will receive tear and an invoice when the ad is published.